If you like Italian style dress shoes because of their sleeker style than English style shoes, you'll make a great candidate for Giovanni shoes. 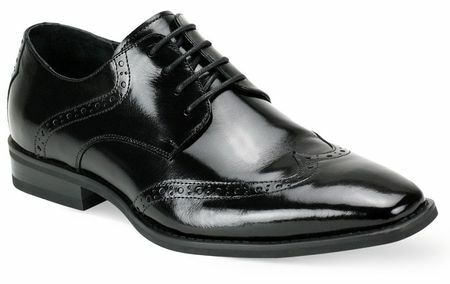 These black wingtip shoes are designed in Italy for the man who favors sleek Italian designed dress shoes. Made of shiny leather with leather lining in a Medium width.